Did you know it’s really hard to kill roots? They will continue to grow back. Do you have a bad habit that you tried to defeat, but it keeps coming back? I do! I have a tendency to use social media as a place to escape when I am stressed. When life isn’t going the way I think it should, when my kids have completely broken me down, and when I feel like my husband isn’t listening to me is when I scroll social media. Instead of running to God I mindlessly scroll. I guess it gets my mind off of things that are going on around me. God has really been breaking me of this habit the past few months. I felt him convicting me to give it up, but of course I’m stubborn and didn’t listen. After Harvey got out of the hospital for salmonella, he had a crazy incident with his two big toes. We had to go to a specialist and in their 50 years combined they had never seen this. Both of his toes were ingrown, but not on the side. His skin was growing over the tip of his toenails. We had to soak his toes 3X a day + peel his skin back with a cuticle pusher. It was ugly looking and we were in constant fear it would get infected again and we’d end up back in the hospital. IT WAS AWFUL. He cried, we cried. Finally I broke, and told God that I would give up all social media until he healed Harvey’s toes. It wasn’t as hard as I imagined it. After the first couple of days I actually didn’t miss it at all. Harvey’s toes finally healed naturally 8 weeks after I gave up social media. After they were healed I continued to stay off social media. Honestly because the break was so refreshing! I found myself not being as negative, jealous, or stressed. I didn’t compare my life with anyone else’s. That is the one down fall to social media, most of us only put our best side on our profile. How many times have you retaken a picture, “because that wasn’t a good angle”? I have… Once I decided to get back on, I knew I had to limit myself and not go back to my old ways of using it as a stress reliever. I’m not always perfect, some days I get on it too much, some days I forget I have it. Turning off my cellular data during the day really helps when I feel like it is starting to consume me. I have to be intentional about it, + when I do fall short I give myself grace. If I keep planting positive seeds, they will over time wipe away my negative seeds. “Do you think negatively about others?” is something that convicted me. Is this a peak into your heart about how you think of yourself? Then I started pondering what is my source of negativity? Is it fear of rejection, comparison, pressure to preform, stress, doubt, etc. The list was a mile long. Then I started thinking what negativity does to my roots in the long run. I want a sturdy tree, full of life, + beautiful. I think we all have been through some sort of storm in our life. If you haven’t, I’m sure one day you will. While you don’t want to be paralyzed by fear waiting for the next storm, you want to be prepared. Strong roots produce the prettiest leaves and weather the storms of life. They are healthy + sound. Their beauty shines bright for others to see. They make others around them stronger, they build them up + give them hope, love, + vision. Roots stick together to hold each other up. After a storm they regain their strength and grow stronger for the next storm. They are each other’s lifelines, like friends + family. Whoever is around us planting seeds is important. We need friends who will speak truth in our dark parts. When we are weak, they can hold us up. Sometimes though our greatest scars can be from the closest people around us. Sometimes they can affect our roots in a negative way, damaging them. “Beauty comes at a cost. What makes it so green? What makes it so fresh? What makes the foliage so vast + fruitful? Rain gives depth, it gives beauty, and it gives ROOTS. If a plant is only exposed to sun and no rain, it becomes dry, flimsy, and dead. Too many times we curse the rain in our lives-suffering, trials, hardships-but the truth is, without rain nothing grows. Without rain there’s no fruit- just dry flaky, and nasty leaves. Sometimes suffering is actually Gods blessing rather than Gods curse. 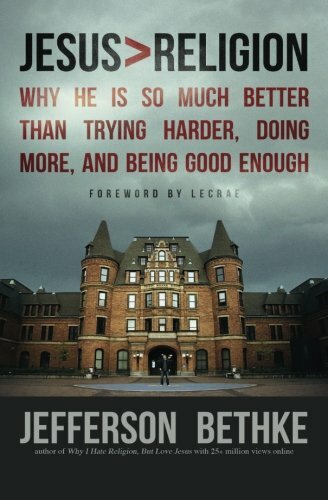 It is clear in scripture that he is not the source of evil, nor did he cause it, but he promises he can use it.” Page 118 of Bethke’s book. All this to say it’s never too late to fix our roots. Let God use every aspect of your life to grow you as a person. Even if our roots become dry and damaged let God shower us with His water. Trust Him to bring you through the storm. Find friends that will come into your messy beds + replace your weeds with fruitful seeds. Then once your roots are strong again, look for a garden near you that needs tending.